Bond-Lamberty, Ben, Adrian V Rocha, K. Calvin, B. Holmes, C. Wang, and M. L Goulden. “Disturbance Legacies And Climate Jointly Drive Tree Growth And Mortality In An Intensively Studied Boreal Forest”. Global Change Biology 20. Global Change Biology (2014): 216-227. doi:10.1111/gcb.12404. McGraw, James B, J. B Turner, J. L Chandler, and M. C Vavrek. “Disturbances As Hot Spots Of Ecotypic Variation: A Case Study With Dryas Octopetala”. Arctic, Antarctic And Alpine Research 46. Arctic, Antarctic And Alpine Research (2014): 542-547. doi:10.1657/1938-4246-46.3.542. Cameron, K. A, B. Hagedorn, M. Dieser, B. C Christner, K. Choquette, R. Sletten, Byron C Crump, Colleen T Kellogg, and K. Junge. “Diversity And Potential Sources Of Microbiota Associated With Snow On Western Portions Of The Greenland Ice Sheet”. Environmental Microbiology PrePrint. Environmental Microbiology (2014). doi:10.1111/1462-2920.12446. Nielsen, L. “Droughts And Fish Highways”. Frontier Scientists, 2014. http://frontierscientists.com/2014/10/droughts-and-fish-genetic-highways/. Gough, Laura. 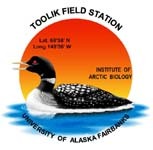 “Ecological Monitoring At Toolik Field Station: Lessons Learned And Challenges Ahead”. Arctic Biodiversity Congress. Arctic Biodiversity Congress. Trondheim, Norway, 2014. Souther, S., Ned Fetcher, Z. Fowler, Gaius R Shaver, and James B McGraw. “Ecotypic Differentiation In Photosynthesis And Growth Of Eriophorum Vaginatum Along A Latitudinal Gradient In The Arctic Tundra”. Botany 92, no. 8. Botany (2014): 551-561. doi:10.1139/cjb-2013-0320. DeMarco, Jennie, Michelle C Mack, and Syndonia M Bret-Harte. “Effects Of Arctic Shrub Expansion On Biophysical Vs. Biogeochemical Drivers Of Litter Decomposition”. Ecology 95, no. 7. Ecology (2014): 1861-1875. doi:10.1890/13-2221.1. Mclaren, J. R, and Laura Gough. “Effects Of Increasing Shrub Abundance On Litter Production And Decomposition In Arctic Tundra”. Ecological Society Of America, Annual Meeting. Ecological Society Of America, Annual Meeting. Sacramento, CA, 2014. Moore, John C, R. Boone, A. Koyama, and K. Holfelder. “Enzymatic And Detrital Influences On The Structure, Function, And Dynamics Of Spatially-Explicit Model Ecosystems”. Biogeochemistry 117, no. 1. Biogeochemistry (2014): 205-227. doi:10.1007/s10533-013-9932-3. Greaves, Heather, L. A Vierling, J. UH Eitel, Natalie T Boelman, Kevin L Griffin, and T. S Magney. “Estimating Aboveground Biomass Of Low-Stature Arctic Shrubs With Terrestrial Lidar”. American Geophysical Union Annual Meeting. American Geophysical Union Annual Meeting. San Francisco, CA, 2014. Dimas, Jennifer. “Is Global Warming Being Accelerated In The Arctic”. Source. Source. Colorado State University, 2014. http://source.colostate.edu/wallenstein-research/. Upton, J. “The Good And Bad Climate News From Permafrost Melt”. Climate Central News, 2014. http://www.climatecentral.org/news/good-news-bad-news-on-carbon-from-melting-permafrost-18001. Nielsen, L. “Grayling And The Great Commute”. Frontier Scientists, 2014. http://frontierscientists.com/2014/09/grayling-fish-endless-commute/. Sweet, Shannan K, Natalie T Boelman, Kevin L Griffin, H. Steltzer, and Laura Gough. “Greater Deciduous Shrub Abundance Extends Tundra Peak Season And Increases Modeled Net Carbon Dioxide Uptake”. American Geophysical Union Annual Meeting. American Geophysical Union Annual Meeting. San Francisco, CA, 2014. Magney, T. S, Kevin L Griffin, Natalie T Boelman, J. UH Eitel, Heather Greaves, Case Prager, B. Logan, Ruth Oliver, E. Fortin, and L. A Vierling. “Ground Based Remote Sensing And Physiological Measurements Provide Novel Insights Into Canopy Photosynthetic Optimization In Arctic Shrubs”. American Geophysical Union Annual Meeting. American Geophysical Union Annual Meeting. San Francisco, CA, 2014. Nielsen, L. “The Ground Changing Under Our Feet - Thermokarsts”. Frontier Scientists, 2014. http://frontierscientists.com/2014/04/ground-changing-underfoot-thermokarsts/.